The CW recently announced that they have found their Batwoman in the form of Ruby Rose. The Orange is the New Black star will portray DC Comics character Kate Kane on the small screen, starting with this year's big Arrowverse crossover event, which will hopefully lead to the character getting her very own series. Now, thanks to noted artist BossLogic, we have an idea of what that might look like. And it's pretty awesome. 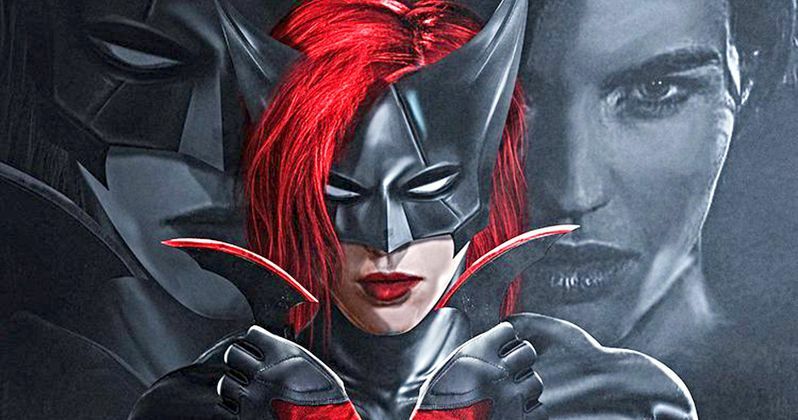 BossLogic took it upon himself to render up a version of what Ruby Rose may look like as Batwoman, which he often does when it comes to recently announced or rumored castings for projects such as these. Instead of just doing a simple character rendering, he decided to do a full poster for Batwoman which, quite frankly, The CW is going to have a tough time trying to top when they drop some official artwork for the crossover event and possible future series. If Rose looks even half this good when the DC hero actually arrives on screen, we're going to be in great shape. The image features Batwoman front and center in full costume, decked in red and black with batarangs in each hand. Behind her we see another costumed image to one side, with the unmasked Kate Kane on the other. Below, Gotham City lurks, looking grey and dreary as ever, clearly in need of a masked vigilante to help clean up the streets. In this case, that vigilante won't be Batman. This perhaps calls into question how exactly The CW is going to address the Caped Crusader's absence in the Arrowverse once Batwoman arrives. For now though, fans can try to enjoy the fact that she's making her first ever live-action appearance before the end of the year. The network will be making history with the Batwoman series, should it be given the official green light. Kate Kane will be portrayed as an out lesbian, which will make her the first superhero on a comic book TV show, man or woman, to be an out member of the LGBTQ community. The series is being developed by Greg Berlanti, who is behind Arrow, The Flash, Supergirl, Legends of Tomorrow and Black Lightning, in addition to several other shows, alongside Caroline Dries (The Vampire Diaries). The script is currently being written. Locking down a star like Ruby Rose, who is herself a lesbian and avid supporter of the LGBTQ community, in addition to being a performer who is very much on the rise, was a huge get. The Arrowverse crossover event is scheduled for December, but no exact dates have been announced by The CW just yet. Ruby Rose will appear there no matter what and, assuming that goes well, the Batwoman show will reportedly film next spring, meaning it could be ready for a fall 2019 debut. Be sure to check out the image from BossLogic's Twitter account for yourself below.